1970 2.5 gm 153ci, 120 hp motor. NOTE: Intake gaskets are NOT included. All Plugs needed to block all threaded holes ARE included with this Intake. Made of cast iron, this intake is easily identified by the 8 bolts required to bolt to the cylinder heads. Michigan Motorz carries virtually every marine flywheel ever used in marine applications. There are only two flywheel sizes used in GM based marine engines: a 12-3/4" and a 14" flywheel. (True inboard flywheels are always 14" with the ring gear on the outside edge of the fly wheel). The crank bolt pattern of each engine (where the fly wheel mates on the back crankshaft),is different for each engine. Simply said, a 14" flywheel from a 4.3L engine will not fit or bolt on a 5.7L engine even though they are both 14" diameter. When ordering a flywheel, first measure your flywheel (most are 14"), identify the YEAR of the engine, then identify your exact engine (3.0L, 4.3L, 5.7L ,etc.). Callus at 248-524-9600 for assistance. 4. 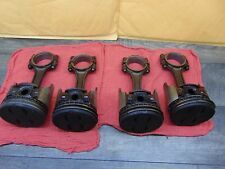 1987 02602347 PISTONS AND CONNECTING RODS. 1987 02608427 PISTONS AND CONNECTING RODS. 1987 2601 877 PISTONS AND CONNECTING RODS. 1987 26011877 PISTONS AND CONNECTING RODS. 1987 26016877 PISTONS AND CONNECTING RODS. MerCruiser, Volvo Penta/OMC 4.3L - 2 bbl., Intake Manifold IN STOCK! This is a BRAND NEW two barrel intake manifold for Volvo Penta and MerCruiser 4.3L marine engines. This intake manifold is very common and used in many 4.3L marine engine applications from 1996-2016.Made for 1996 and later 4.3L engines with 8 bolts on the intake manifold (pre-1996 4.3L marine engines have a 12 bolt intake manifold, therefore this intake will only work on 1996 and later 4.3L engines). Includes:4.3L intake manifold gaskets MerCruiser #27-824326002Volvo Penta #3855807OMC #3855807Crusader #7150950MerCruiser part #824324T02. It is ready to bolt on ! We do have New Head Bolts,Gasket Kits etc available which we would be glad to quote for you. This Heads replaces heads using GM casting number 14096620. This Head is a Direct Fit for the 91 and up Models (140hp). Will work on left or right side. Will not work on Mk 4 (pre-1990) 454 ci and 502 ci engine. Auction is for (1) brand new valve cover. Replaces: MerCruiser part #850462 Volvo Penta part #3856028 Crusader part #31121. 4.3L, 4 bbl. Intake Manifold - (1996-Later) Brand new genuine GM Vortec 4.3L, 4 barrel intake manifold. Made of cast iron, this intake is easily identified by the 8 bolts required to bolt to the cylinder heads. (Previous generation 4.3L engines require 12 bolts). If you have a 1996-current, 4.3L MerCruiser, Volvo Penta, OMC, etc., engine with a 4 barrel carburetor, then this is your EXACT intake manifold. Replace your 2 barrel intake manifold with this 4 barrel intake and 4 barrel carburetor for a 20 hp increase! Intake gaskets are included Part #824330T1. X3 14095286 GM Intake Manifold OMC MerCruiser V6 3.8L 4.3L 262CID 4bbl NonVortec. Condition is Used. Shipped with FedEx Ground or FedEx Home Delivery. Used and working pair of mounts. 3.0L MerCruiser Vortec Base Marine Engine - 140 hp - NEW - IN STOCK NOW! NEW 3.0L MerCruiser Marine Engine LIMITED QUANTITIES AVAILABLE!LESS THAN 20 LEFT! This is a BRAND NEW MerCruiser 3.0L replacement marine engine rated at 140hp @ 4800 RPM / 177 lb.-ft @3600 RPM (using a 2 barrel carburetor). This 3.0L marine engine is made specifically for marine applications. It includes everything that GM installs on all of their brand new 3.0L base marine engines. If you have a MerCruiser, OMC, Volvo Penta, Yamaha, etc. with a 3.0L engine, then this engine will fit, bolt in, and work. 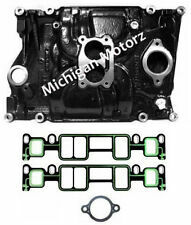 INTAKE MANIFOLD GM CHEVROLET CHEVY 4.3 14075659-14 SELLING CHEAP! From an 80s GM 4.3 with a 4 barrel carb. Casting Number: 3914636. Casting Number on block: 3914636. for a used Chevy 307 V8 Engine. various OMC Stringer parts. 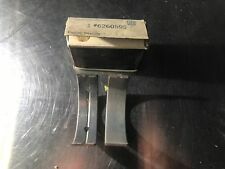 This marine boat part is from a 1969 model OMC Stringer Sterndrive Model TUFR-69M. 12551537 12551537 06272221 14097258 GM Genuine parts number supercessions. 856420 856420-5 3854023 Volvo Penta. 0984501 984501 0985074 985074 OMC and Cobra. Good condition, Fresh Water, Needs to be sandblasted and cleaned up. For sale is a used GM Timing Chain cover pn 1254557 removed from a 1997 Volvo Penta 4.3GL SX-M with GM Block. USED AND WORKING. From GM, 5.7L block. In Stock Now - Immediate Shipping! Trending at $251.66eBay determines this price through a machine learned model of the product's sale prices within the last 90 days. This is for anywhere in the lower 48. 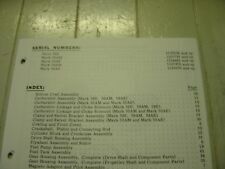 4.3L GM Electronic Distributor Kit (1985 to Current) - IN STOCK! Genuine 4.3L GM Delco Voyager EST marine electronic distributor kit. Made for ALL 4.3L marine engines made from 1985-current. This is an excellent replacement kit for "points" distributors and faulty MerCruiser Thunderbolt ignition systems. This kit is U.S Coast Guard Approved and has the official marine SAE J1171 stamp on the bottom of the distributor. This is the EXACT kit that Volvo Penta, OMC, Marine Power, etc., use on their 4.3L marine engines. 100% compatible and operational with ALL MerCruiser 4.3L marine engines. This kit includes: 4. Clean take off set of GM big block valve covers. Part Number Stamped: 12570697, 12552203, 7129N2074775, and 712913059642319. Upon inspection, we did notice that there are no cracks, breaks, or rust on this part. This is aluminum. Layaway Plan. Johnson and Evinrude. Used and in great working condition. Part # 1536341. Material : steel. AGAV END ITEM IDENTIFICATION 2010-00-278-0793 PROPELLING UNIT,MARINE OUTBOARD,MURRAY AND TREGURTHA HARBORMASTER MODEL 0A6. MATT MATERIAL STEEL. FEAT SPECIAL FEATURES 2.000 IN. New OEM/ GM Marine 4.3L, V6 Circulation Water Pump. One Factory New OEM/GM Water Pump. Water Pump Gaskets. We have the best prices for marine engines and parts in the industry. There's nothing worse than a boat with a dry hull. 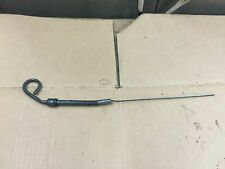 Mercruiser 7.4L 454 MPI GM WIRE ENGINE HARNESS . Condition is Used. Shipped with Standard Shipping. 5.7 GM Vortec Long Block. This engine for sale is a New GM (partial engine) 5.7L/350ci partial engine. Includes heads and all tin. 3.0L/181ci Longblock. Complete 383 Stroker. 5.7L/350ci Longblock. Featured Products. 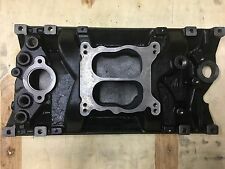 5.7L GM Vortec Bare Block. Includes heads and all tin. Casting # 880. 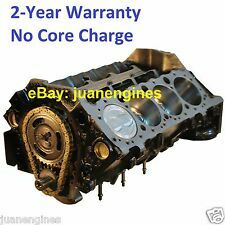 This engine for sale is a Used GM (partial engine) 5.7L/350ci bare block engine. NOTE: Rebuildable used bare blocks may require machine work, honing, and/or cleaning prior to assembly. USA.THIS ITEM IS BEING SOLD FORNORTHERN LAKES MARINE LLC. USED AND WORKING. Total 2 lines. GM 5.7L, AQ 271C. Good used marine camshaft GM 7.4L 454.